What Should The Postal Service Do? I had an interesting thought when I heard about the postal service’s request to increase the price of first class postage by 2 cents to 46 cents. Readers of this blog know that most of the time I’m advocating raising prices, but in this case I’m wondering if the postal service is getting it all wrong. I’ve been hearing the postal service complain more and more that since there is not enough volume of mail they need to raise prices. Yet, if I remember my economics, if all you do is raise prices (without creating additional value) demand will decrease. What’s worse, every time the price of postage goes up the attractiveness of digital alternatives increases as well – putting even more pressure on postal volume. Cut the price of postage across the board and allow people to pre-pay for postage to get an even bigger discount. Mail needs to become more competitive with other distribution forms, not less. Don’t just cut the price of postage, invest in teaching people – especially businesses – how to use mail. I’ve got a friend in Canada who helps Canada Post (their postal service) do this and he’s told me how well it’s worked. 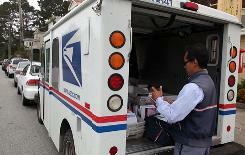 The postal service is like every business – it must focus on creating value and being competitive. Anything else will just hasten its demise (and add costs to the taxpayer).